How Should I Save For My Children? Most parents will be looking to put money away for their children’s future. We examine the best ways to save (and invest) for new babies and children. Since the new budget, many have asked whether investing in ISAs or Investing in Pensions is a better long-term investment. Here are the answers! A lot of articles are currently being written on individuals who have miraculously become ISA millionaires. However, its easier than you might think. How can I maximise my allowance? Allow moneystepper to walk you through the steps of everything you need to know to maximise your annual ISA contributions. What should I invest in? Should I invest in the stock market, invest in property or leave my funds in cash? 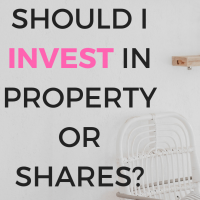 We compare property vs shares vs cash.